LG’s 2017 OLED TVs have achieved something of a cult status thanks to their inky dark black levels and vibrant colors. Today though, MassDrop is offering the best price we’ve ever seen on the gorgeous, glass framed 2018 E8 models. 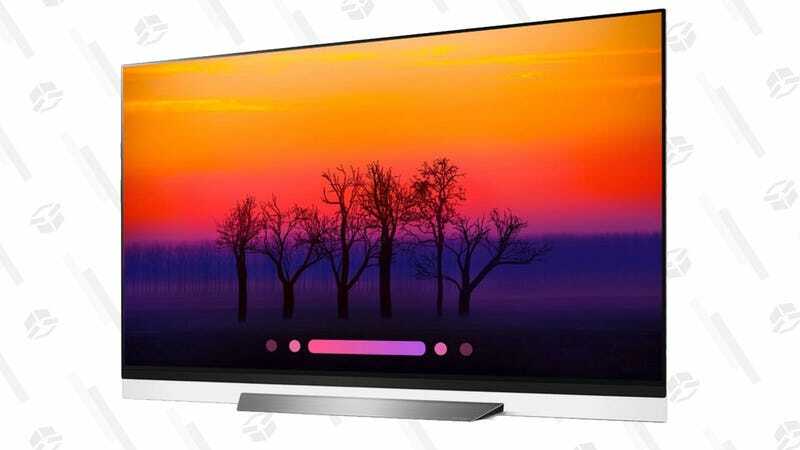 MassDrop has the 55" marked down to $1,800, and the 65" to $2,500 (select the 65" option at checkout). We’ve seen cheaper deals on the lower-end B8 model, but that one isn’t framed in glass, and it uses last year’s processor, meaning it can do HFR or HDR, but not both at the same time like the E8. It doesn’t have the new processor, the glass frame, or HFR, but it still looks amazing.